Munich - Arriving with such high expectations, at a club which had just swept the board, it was never going to be an easy start to life as FC Bayern München coach for Pep Guardiola, yet he has mastered it magnificently and could be about to pen his own glorious chapter in the club's rich history. The Catalan has already equalled Bayern's longest ever unbeaten start to a Bundesliga season, set at the start of the 1968/69 campaign when Branko Zebec was pulling the shots. Guardiola will go one better if his team avoid defeat to 1899 Hoffenheim at the Wirsol Rhein-Neckar-Arena on Saturday, breaking Zebec's 45-year-old record, but it has not necessarily all been plain sailing for Guardiola thus far. The defeat to Borussia Dortmund in the DFL Supercup and 1-1 draw at SC Freiburg on Matchday 4 only served as ammunition for those who doubted whether the 42-year-old could repeat his FC Barcelona success with the German record champions. Recent displays in both the Bundesliga and in the UEFA Champions League have gone some way to making those critics eat humble pie, with Bayern showing similar flashes of brilliance one came to expect of Barcelona during Guardiola's tenure there. The record Bundesliga champions have enjoyed an average of 66 per cent of possession so far this season, while a staggering 86 per cent of their passes have found their target. No other top-flight side boasts a comparable record. Another problem Bayern had to contend with earlier in the season was injuries. Those who were forced to sit out the beginning of the campaign - or who picked up injuries in the first few games - are starting to return to their considerable best. Thiago Alcantara is back in training, while Javi Martinez made his long-awaited comeback against Hertha at the weekend. Of all the players to return from injury lay-offs, though, Mario Götze has arguably made the biggest impact in recent games. The 21-year-old has hit the ground running, wowing fans with game-changing performances in the Bundesliga. The summer signing from Dortmund even grabbed his first goals in Bayern colours against FC Viktoria Plzen and Hertha Berlin. As if breaking one record wasn't enough, Bayern will equal another if they avoid defeat next weekend. The Bavarians are currently on a 35-match unbeaten run in the league, stretching back to Matchday 9 of last season, when they lost 2-1 to Bayer 04 Leverkusen at the Allianz Arena. The current record - 36 matches without defeat - was set by Hamburger SV between January 1982 and January 1983. 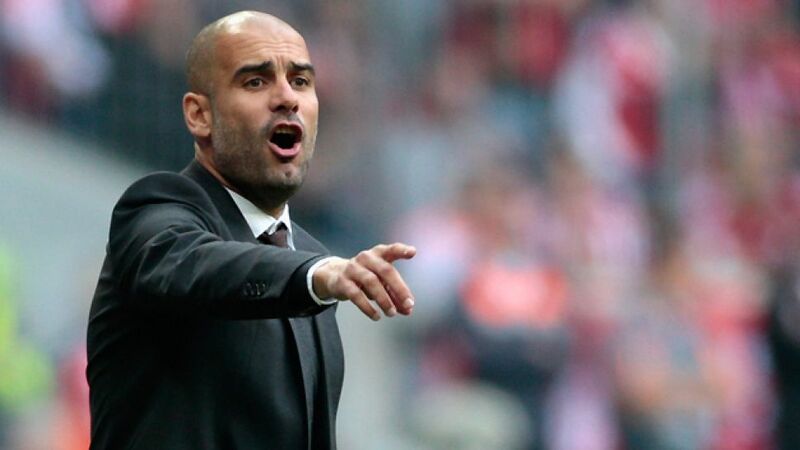 For Guardiola, however, the priority will be picking up another three points in the quest to retain the Bundesliga title. At the moment, however, there is little doubt that Bayern look the part and few would bet against them enjoying another trophy-laden campaign this year. Not that Guardiola will be looking that far ahead. "Schritt für Schritt," as he would say. Step by step.